Nine of Fourteen Confirmed for 2014 Preakness Stakes: The 139th Running of the Preakness Stakes takes place on Saturday, May 17, 2014 in Baltimore, Maryland. So far, nine 2014 Preakness Stakes contenders have confirmed that they will make their way to the Pimlico Race Course starting gate for a shot at the 2nd jewel of the Triple Crown. So far, nine 2014 Preakness Stakes contenders have confirmed that they will make their way to the Pimlico Race Course starting gate for a shot at the 2nd jewel of the Triple Crown on May 17th. California Chrome, winner of the 2014 Kentucky Derby, will meet up with 7th place Kentucky Derby finisher Ride On Curlin in the Preakness Stakes. 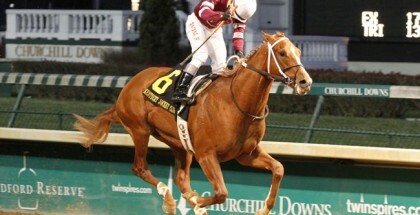 There are no other solid Preakness Stakes entries at this time for any of the other Kentucky Derby finishers. Ria Antonia is the lone filly willing to take on a field of colts in the 2014 Preakness Stakes. Ria Antonia finished 6th in the Kentucky Oaks on May 2, 2014 at Churchill Downs. 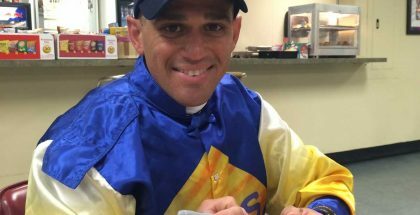 Despite the recent Ria Antonia hype, trainer Tom Amoss recently reported that he is unsure the three-year-old filly will actually race against the boys in the 2014 Preakness Stakes. The 139th Running of the Preakness Stakes post position draw will take place Wednesday evening on May 14th. 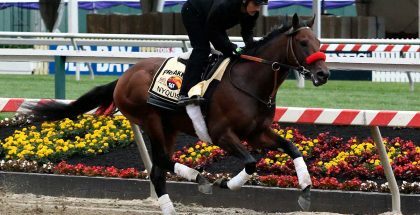 Until then, there will be many changes to the 2014 Preakness Stakes field and more dramatic headlines to unfold.